We have collected some important questions that should be asked in Screening Interviews, but before you need a few knowledge about a screening interview. 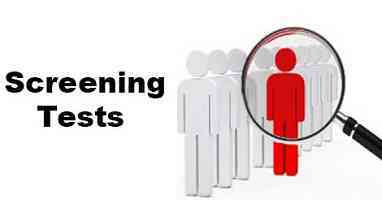 A screening interview is a type of job interview to examine your qualifications that is needed to do the particular job. It is an inital step of Interview Process. This interview is usually taken to you about the job so that you had a good understanding of what the role entailed before you met with the hiring manager. They could answer your questions that might not be comfortable asking your hiring manager in your first meeting, like "What are the working hours?," "What is the dress code here?" etc. So, be confident to ask any questions to your HR manager because it is completely safe and non-threatening. 1. What is the overall purpose of this Job role? 2. Who are the internal and external customers for your new hire? 3. What are the top responsibilities assigned for your new hire to take care of in the next 60 days? 4. How do you evaluate the performance of your staffs in this role? 5. What is the typical career path here for a person hired into this role? 6. If it's an existing position, where did the previous Worker of this role go? 7. What would you say is the biggest obstacle in your way right now? 8. How does that obstacle slow you down or keep your team from hitting its goals? 9. What is the financial impact of that obstacle?